110 Title – Part 3: What is a “title examination” and why is it important? In order to truly understand the benefits and limitations of title insurance we’re breaking it down for you in a four-part series. Last week was Part 2: What is the “public records doctrine” and why does it matter? 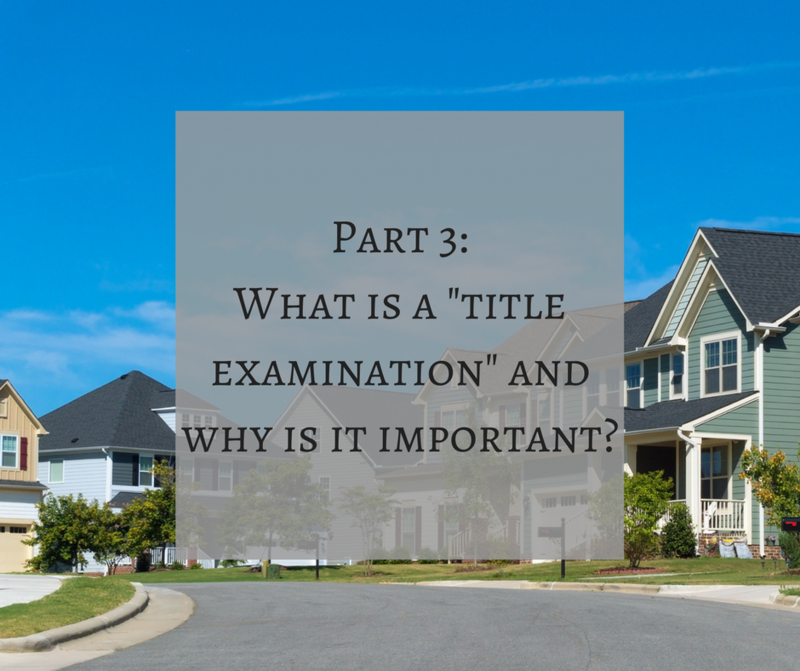 Today in Part 3, we’ll be discussing what is “title examination” and why is it important? On occasion, an attorney may perform the search of the public records and examine the records himself and then issue the title opinion to the client. More often than not, the attorney does not search the public records, but employs a professional abstractor who prepares an abstract of title. An abstract of title is a concise summary of the documents and instruments of record which affect the title to a specific piece of land. An abstract should disclose the full effect of every instrument which constitutes part of the owner’s title and should include a full summary of all conveyances and all records of judicial proceedings (such as successions or foreclosures) whereby the title is in any way affected. (iii) is dated and signed by the abstractor and presented to an attorney duly licensed and authorized to practice law in Louisiana for examination. For the purpose of the definition of an abstract, “public records” shall mean all instruments, including attachments, which are recorded in the mortgage and conveyance records maintained by the clerk of court of the parish in which the property is situated, and the ad valorem property tax records for the parish and political subdivision in which the property is located. The definition of “abstract” is important because, any title insurance report or title insurance policy relating to immovable property shall be based upon an examination of the public records or a personal examination of an abstract. Thus, either the attorney (duly licensed in Louisiana) must either have personally examined the public records or have personally examined an abstract in order for the examination and resulting opinion to form the basis of a title insurance report or title insurance policy. (iii) exceptions to the title, such as options, rights of first refusal, encumbrances, restrictions, or servitudes. Often times, many title risks can be taken care of and cancelled prior to a conveyance to a buyer, or taking a mortgage by a lender. Other times, these rights are listed as “exceptions” and the buyer or lender takes title subject to the rights then in existence. If certain rights cannot be cancelled, then the title may be deemed “unmerchantable,” and the lender or buyer may choose not to confect an agreement with respect to the property. If, after examination, a determination is made by the attorney that the title to the property is merchantable, the parties then have some certainty as to the state of the public records affecting the title. However, even though an attorney may have reviewed the public records and issued a clean title opinion, there are a multitude of risks that a lender or purchaser faces that could diminish their respective rights in the property. Title insurance can effectively mitigate many of those risks to the beneficiary of the policy.